For the better half of at least a couple of years, I’ve blogged nearly every day of something related to WordPress. This may be something dealing with blogging, speaking, resources, programming, notes, or other various articles. To say that writing is something I enjoy doing is an understatement, and being able to do it using software I like and on which we build solutions for others is something that isn’t something I don’t take for granted. For those who read every day, you’ve likely recognized that I’ve not been posting as frequently as I normally do. Part of this is simply because life has gotten extremely busy. The other part of it has to do with what I’m planning to do with this site in the coming weeks. Writing moderately lengthy posts that help others is something that I really enjoy doing, but if you put yourself in the position of writing daily and you don’t have something to write on a given day, what do you do? Some may say you write a fluff piece; others may say you pull something out of your drafts. I tend to favor the latter and its what I do. Regardless, over the last few days, I’ve made some notes on where this blog has been, where I want it to go, and how I want it to get there. And if you subscribe to my newsletter (which you can do using the form in the sidebar) then you know where this is headed. The TL;DR of all of this is that I’m going to be introducing memberships on this site. 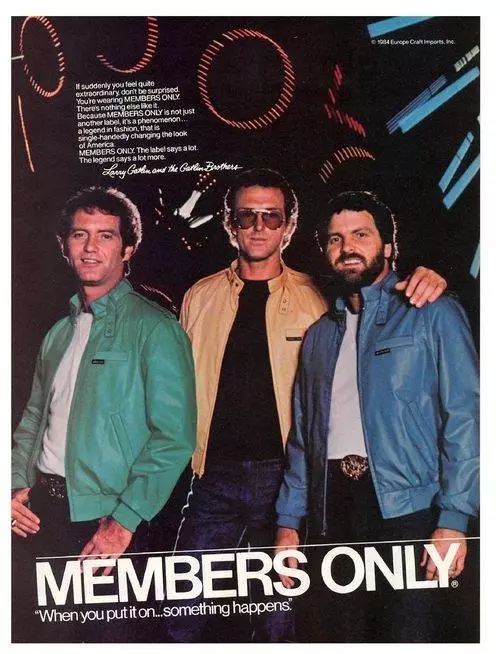 Members Only? Not really, but I kinda dig the jackets. Don’t you? But there’s more to it than that, and I thought it might be worth sharing it here if for no other reason than to fill the rest of you in and also to prepare those of you who read frequently (which I appreciate!) for what’s coming. Further, I’ve had several people ask if I’ll document the progress or the approach that I use when I go about making these changes. In short, the answer is yes. Regarding “when” or “how” I don’t know yet. I’m still in the planning phases. I don’t even have a solid price-point determined for memberships yet, but I do know that the content offered to members will be longer form content, will be deep dives into certain topics, and will include things that help improve one’s WordPress development skills. Does this mean that I’m going to stop offering free content? No way. After all, that’s part of what blogging is by its very nature, right? It’s just that the frequency of content and perhaps the depth of some of the posts are going to be different. This is the natural, next phase of this site. I dig interacting with those of you who read it either via email, Twitter, or comments, but all three channels ultimately become too much to manage on a day-to-day basis. So as of this post, comments are closed, and the general sharing buttons are gone. Sure, others can continue to inquire about certain posts using emails. Perhaps I’ll follow-up there, perhaps it will lead to a post that answers the question to help benefit others. Further, having fewer dependencies will help the site load just a tad faster (and how hard is it to throw a link out via Twitter or into Pocket, really?) and there will be less content to read, to debate, and, to follow-up on concerning comments. To be clear, I appreciate every single reader. I like hearing from others via Twitter and email, and I have every intention of continuing to read every email I receive. If I can respond to them, I will (either 1:1 or by another blog post). On top of all of that, if I can help others become better developers through in-depth tutorials without the noise of advertisements (but with the help of content and partners and sponsors with related tools), then why not? In the coming weeks, that’s the plan. In the meantime, I plan to continue writing about various aspects of WordPress development. Furthermore, if you’ve not subscribed to the mailing list, be sure to do so using the form in the sidebar. Each month, I send out a summary of the month’s most popular posts and some other information, as well. With that as my time out, look for the standard content to resume soon. Next PostNext What’s Too Much For Passing Data via Dependency Injection?